There is a sense of euphoria in the Münsterland at the moment. Preußen Münster have been unbeaten in their last six games and have collected 16 of 18 possible points in that stretch. “We have come to the right conclusions after losing three games in a row at the beginning of September. We are happy and want to continue the trend,” head coach Marco Antwerpen told kicker this week. Preußen Münster are in many respects a sleeping giant and a founding member of the Bundesliga. But the club got relegated during the 1963/64 inaugural Bundesliga season, and Preußen have been out of the top division. It is a status that the club wants to change in the long-term and the likes of former Borussia Dortmund, Real Madrid and Schalke 04 defender Christoph Metzelder, who played for Preußen’s youth sides, want to help to get the club back to the second division and perhaps even to the Bundesliga. The best fan experience in the world, go visit a game in Germany now! Book your European football travel now by visiting Nickes! Step one, which is Bundesliga 2, seems to be in reach. Preußen are currently second with 25 points from 13 games and with 25 goals have the best attack in Liga 3. That in turn, has led to the above-mentioned euphoria, and the club expects that for the first time since February 2015 the stadium will be closed to be sold out. 11,500 visitors are expected against 1860 Munich, who as always will rely on a large travelling contingent of fans. Those kind of numbers are the norm for 1860. 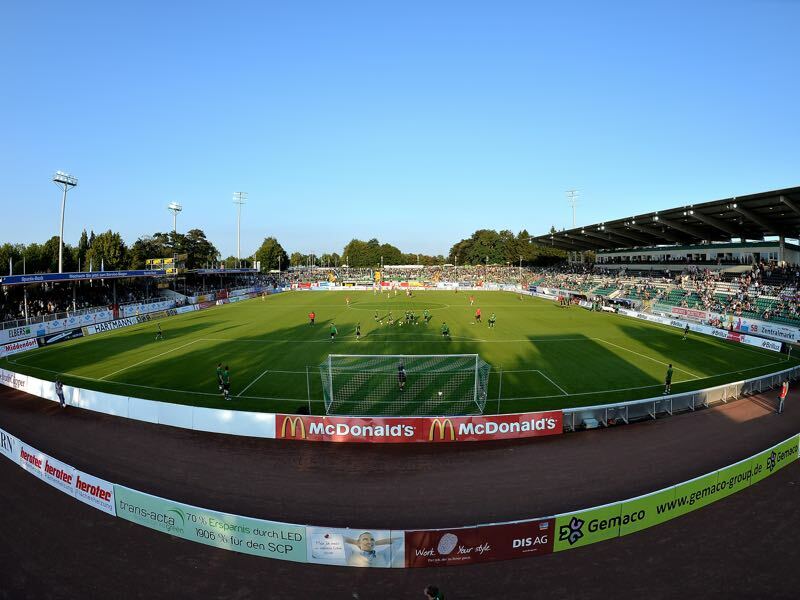 Despite a season of ups and downs, the Grünwalder Stadion has averaged 15,000 visitors this season – the third most in Liga 3 behind Kaiserslautern (49,850) and Eintracht Braunschweig (23,325). Last week’s 2-2 draw against Sonnenhof-Großaspach in many ways summed up die Löwen’s season up to this point. 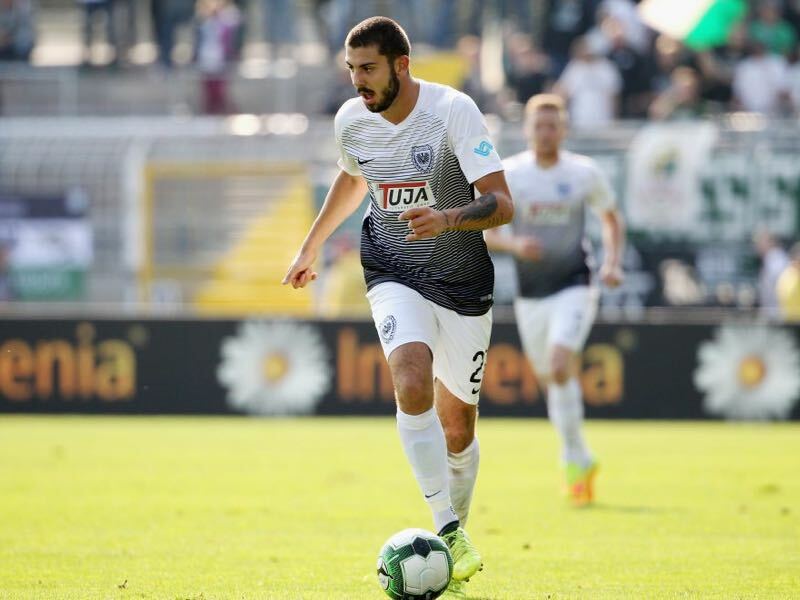 1860 took the lead through Sascha Mölders in the seventh minute but then conceded two goals – Dominik Pelivan (25′) and Makana Baku (70′) turned the game on its head. It was only thanks to Sascha Mölders second goal of the game (82′) that 1860 walked away with a much-needed point. Given the full 90 minutes and were 1860 are in the standings as a promoted sided – 11th with 17 points from 13 games – the fans and club officials should be happy with the start to the Liga 3 season. But 1860 are not a normal Liga 3 side and expectations are always high in Giesing. Furthermore, that game, in particular, highlighted that many players still have not quite arrived in Liga 3 and that the coaching staff is somewhat struggling with the reality of head coach Daniel Bierofka having to spend time away from Monday to Thursday to work on his coaching licence. Bierofka’s absence has been seen as one of the reasons by players on why the chemistry is not 100% yet. “When he is here then he is detailed and meticulous, and discusses many tactical details. It is all about perfection and we are supposed to keep every detail in mind. That is positive,” Grimaldi told die Abendzeitung. “It is still difficult, however. I have never been in a situation where the coach was gone from Saturday [after the game] until Thursday,” Grimaldi added. It is a situation that will continue until March 2019 when Bierofka will finish his coaching course in Hennef. While not ideal the club knew what was coming. Bierofka already told the Futbolgrad Network last February that the club will do everything in its power to deal with the situation and has in the form of Günther Gorenzel a competent sporting director, who is leading the practice sessions and is entirely in line with Daniel Bierofka‘s philosophy. Liga 3 was always considered a medium-term project with promotion to Bundesliga 2 deemed unlikely in the first season. Hence, setbacks like the one against Sonnenhof-Großaspach are calculated. The match on Saturday in front of a euphoric crowd at the Preußenstadion will also be difficult, and Preußen will be the favourites to win the match. Moritz Heinrich joined Preußen Münster from 1860 Munich in the summer of 2017. The 21-year-old midfielder played 23 games in Liga 3 this season but struggled at the beginning of this campaign. Until matchday 10 Heinrich spent most of his time with the second squad or on the bench. Then on matchday 10 Heinrich got started as a full-back in Antwerpen’s 5-3-2/3-5-2 system and has been one of the best players for Preußen in the wins against Würzburger Kickers and SV Meppen. Adriano Grimaldi returns home to the city that was his home from January 2016 to July 2018. “There will be a lot of friends on the stands,” Grimaldi told the media during the week. The 27-year-old missed last weeks game after having collected five yellow cards in his first 12 games for die Löwen. The striker also admitted that he has not completely settled in Munich yet. “It has been difficult to get used to a new city, especially with the family. We are from a small town and are not used to the big city life. We have some mixed feelings,” Grimaldi said with a smile on his face. On the field, however, Grimaldi has been quickly integrated. The striker has scored four goals in his first 12 games, and his teammates often look to pass the ball to the physically strong striker in the knowledge that the 27-year-old can nail down balls and make room for his teammates. As for the match against his teammates? “I have a good feeling. We are a level or two above last year’s Münster,” Grimaldi added. In general, he feels the biggest issue has been chemistry “it takes time until you get used to Liga 3.” Grimaldi, in the meantime, is under contract until 2021, time enough to get used to Munich. Both Preußen Münster and 1860 München are founding members of the Bundesliga. The founding season of the Bundesliga was also the only two times Münster and 1860 faced each other. The two clubs drew 0-0 in Münster on October 26 and 1860 won their home match on March 14, 1964 3-1. Preußen Münster were relegated after just one season in the top flight and have not played in the top flight ever since. Manuel Veth is the owner and Editor in Chief of the Futbolgrad Network. He also works as a freelance journalist and among others works for Pro Soccer USA. His story on 1860’s season in the Regionalliga was published in the Howler and can be ordered HERE. He holds a Doctorate of Philosophy in History from King’s College London, and his thesis is titled: “Selling the People’s Game: Football’s transition from Communism to Capitalism in the Soviet Union and its Successor States,” which is available HERE. Originally from Munich, Manuel has lived in Amsterdam, Kyiv, Moscow, Tbilisi, London, and currently is located in Victoria BC, Canada. Follow Manuel on Twitter @ManuelVeth.